The Los Angeles Department of Water and Power has confirmed a large-scale power outage in the Los Feliz and Silver Lake areas. LOS FELIZ, LOS ANGELES (KABC) -- The Los Angeles Department of Water and Power confirmed a large-scale power outage in the Los Feliz and Silver Lake areas and eventually restored power late Friday night. Outage update Los Feliz & Silver Lake: Unfortunately power out again for approx 5,000. Crews working on it. Sorry for this inconvenience. The LADWP tweeted that approximately 5,000 customers were without power around 8:40 p.m. Earlier, at around 6 p.m., the department has tweeted that around 3,000 customers were without power in Los Feliz. The department then tweeted that power had been restored to most customers before tweeting that it was out for thousands again. 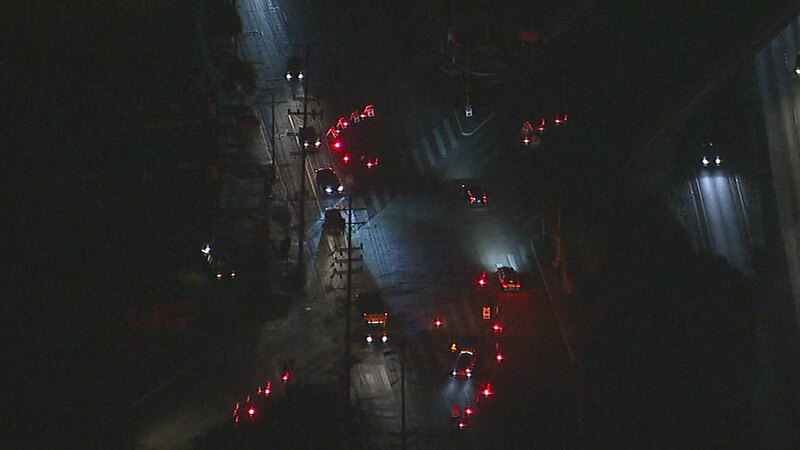 Crews were working to fix the issue, according to the LADWP. By 11:20 p.m., abut 1,200 customers remained without power, while the rest had it restored. There was no immediate word on what caused the outage.